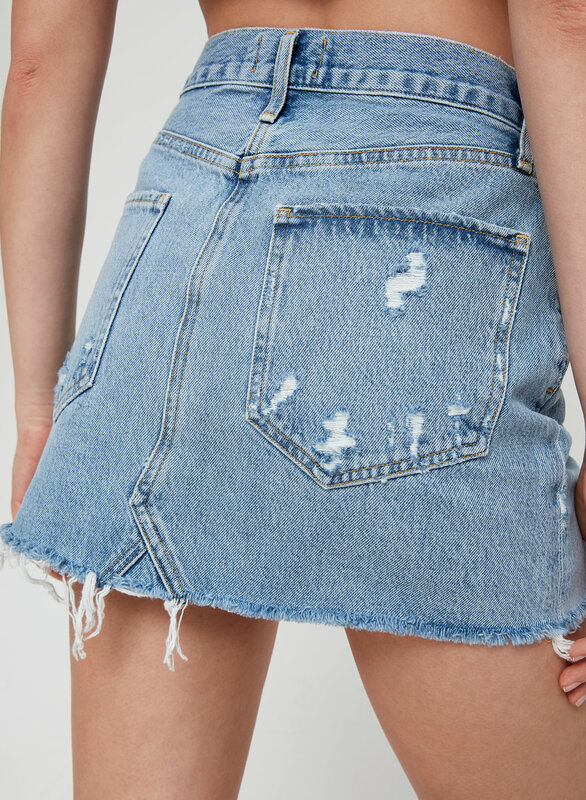 Classic with a little edge. 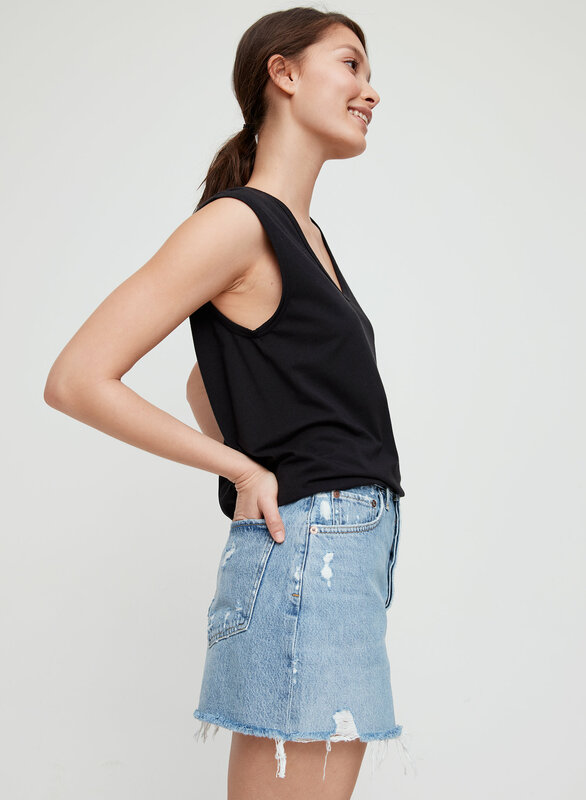 The Quinn is made with 100% cotton denim that's structured so it'll keep its shape. 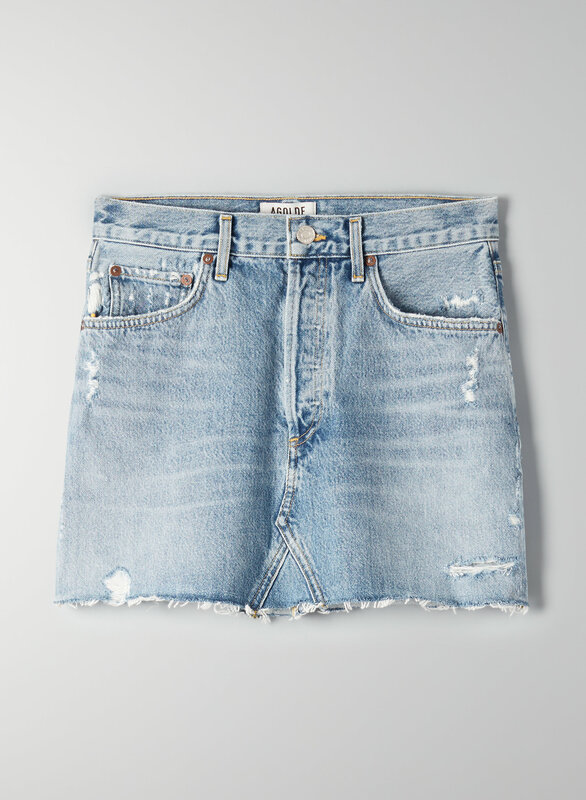 It has a classic vintage-inspired wash, while a frayed hem makes it a little edgy.